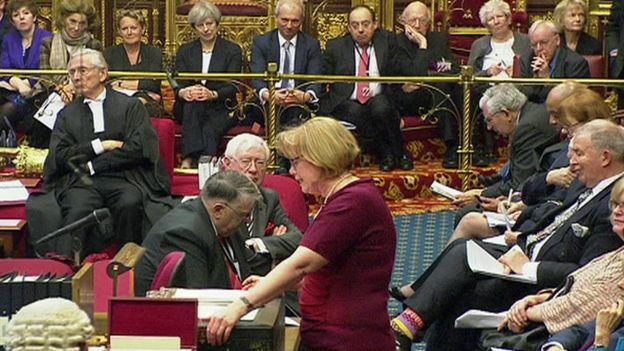 Peers are expected to agree to amend the draft legislation to protect the rights of EU citizens living in the UK. Home Secretary Amber Rudd had sought to reassure members that EU nationals’ status would be a priority once Brexit talks begin. But a cross-party amendment calling for a firm guarantee is expected to secure the backing of most peers. Lord Newby, the leader of the Liberal Democrats in the Lords, said passing the amendment would “require the Commons to think again”. If this happens, MPs could remove the Lords’ proposed changes again when the bill moves back to the House of Commons later this month. The bill authorises the government to trigger Article 50. 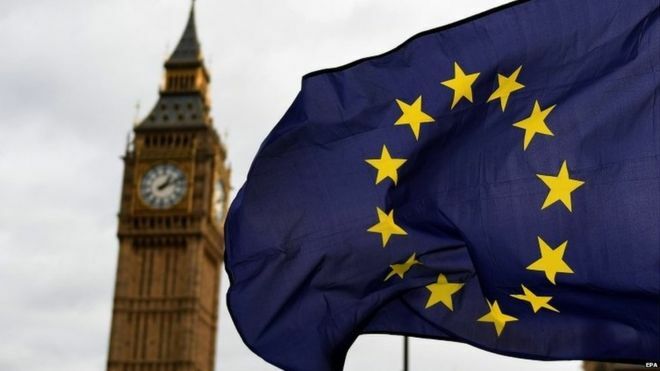 The rights of EU nationals to remain in the UK after Brexit has been one of the most contentious issues during its parliamentary passage so far. In a letter sent to every peer, Ms Rudd said a guarantee of their right to stay, however “well-intentioned”, would not help the hundreds of thousands of UK citizens living on the continent as it could leave them in potential limbo if reciprocal assurances were not given by the EU’s 27 other member states. She said there was “absolutely no question of treating EU citizens with anything other than the utmost respect”. “This isn’t just about ensuring British businesses and our public sector have access to the right workers,” she wrote. The letter is not that different to what was sent to MPs previously to try to ease their minds, as the Article 50 legislation made its way through the House of Commons. It does though appear to kill off the idea that Theresa May will arbitrarily set a cut-off date for EU immigration without having to get MPs or peers onside first. But it is unlikely to spare the government’s blushes tomorrow. Without a further more dramatic concession, they are set to lose. That will set in train the first ‘ping’ of the potential ‘ping pong’ – the parliamentary process where the Lords reject something in the red chamber, sending it back down the corridors to the green benches – daring, imploring perhaps, backbenchers to join with them and push back at the government. There is no sign at the moment that ministers want to budge on this issue. Wednesday’s debate will begin at about 15:30 GMT with the vote on EU nationals expected some time before 18:00 GMT. Earlier this month, MPs passed the bill unamended, accepting assurances from ministers that protecting the rights of the three million EU nationals living in the UK would be a priority for ministers. But the government does not have a majority in the Lords, where the 178 crossbench peers who are not affiliated to any party have considerable influence. Peers including Labour’s Lords leader, Baroness Smith, have said they will not delay the invoking of Article 50 of the Lisbon Treaty, which the prime minister wants to do by the end of March. But Baroness Smith said they would give the draft legislation “due and proper scrutiny” and look for “possible improvements”. By amending the bill, she said MPs would be given the opportunity to “think through and reconsider” the issue of the status of EU nationals. “Confirming the rights of those EU citizens living in the UK can only be of benefit to our citizens worried about their future in EU countries,” she said.